Switch back and forth between reading the Kindle book and listening to the Audible narration. Add narration for a reduced price of $11.47 after you buy the Kindle book. It's uplifting to read and humbles us to the core. One can never truly know how or who this person is until you've read what's in his mind. It was funny and exhilirating, my anxiety level has never truly known anxiety until I've know what they've gone through. It was brilliantly written, funny and beautiful. His perspective and how he defined people was so delightful to read that most of the time I burst out laughing. It broke my heart that they are all just people plagued with imperfections and not mythical beings. I laughed and cried and learned a lot from this book. It will stay on with me forever. Now, looking at my non-nike shoes, it looks empty, barren. I see nothingness. And my eyes would flick anywhere but that and start looking for that swoosh. I have to get one of that. One of the best books I've ever read. 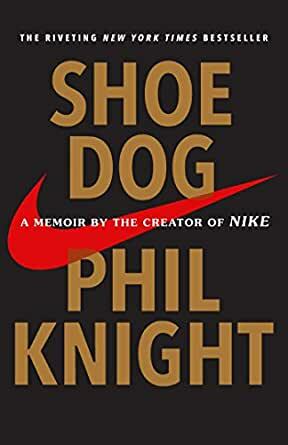 The story of Nike is simply fascinating and Phil 'Buck' Knight has a superb way of recalling events from 50+ years ago. He is ruthlessly honest, often self critical and self deprecating. 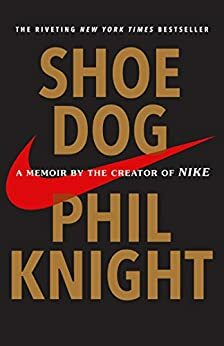 I was hooked to this book, and given the brand is so popular (I myself have many Nike products), it made reading it even more special and relevant. Highly recommend! Phil Knight’s honesty and humility about his own limitations define this book. A phenomenal success story of a business always close to the collapse until it floated. This is a good lesson for aspiring entrepreneurs how tough it really is to succeed and how passion and good people around are critical. Phil Knight shares and honest tale of his life and the reality of business success - warts and all. This is why this book matters. It is not politically correct or told from a perspective to please modern minds. Instead, he tells the story as best he can from his perspective. The lessons are many. It's worth the read. Phil Knight is a writer who engages his reader to a point where you can’t put this story down. He tells the story with great understanding of the human struggles and ultimate success. I want to talk to him. He is a real hero not driven by ego or money but a desire to win and never look back while building his amazing brand. 5.0 out of 5 starsGreat read - did it in 2 sittings! Nike has been so successful in my adult lifetime that it's hard to imagine just how tough it really was for them to survive and how close to the edge they were for many years. Very inspiring read about leadership, risk, culture and success against adversity. Knight mixes so beautifully humour, knowledge, wisdom, and reflection. His story bares the truth of how persistence, hard work, and loyalty reaps far greater happiness than what the pursuit for money could ever give. Shoe Dog will make you simultaneously laugh, cry, and be in awe, with an insatiable need to read more.